My review is something a little different this time but not too far fetched as it still focuses on tea. Teagime are a company that specialise in a personalised teatox programme, literally a detox programme using tea blends selected and created for your personal and specific needs. At the start of the programme you are asked to complete a questionnaire with personal information, such as: weight, menstrual cycle, sleeping patterns and more. Granted I felt a little insecure about writing my personal information down (I mean who wouldn’t?) but I still did so truthfully to see what blends would be made for me. The result came to three blends, one for Morning, one for Afternoon and one for Evening. The idea is that I drink one cup of each tea every day for two weeks (which is the amount you get per set) to become detoxed whilst also tackling some issues with my day to day life. You get two steepers as a gift to help those new to loose leaf tea, or handy as spares. One thing to note is that the blends do not come with any steeping information so I will have to judge them for myself. It would perhaps be handy to have instructions for those that are fairly new to loose leaf tea and want to confirm it. Also to make this a real detox I will be drinking these teas for the full two weeks so that my results will be fair. After the end of the first week I will be posting my results and will update the post the week after. So this review that you see below will be after the first week. Wake up gently to this invigorating floral brew. Rose cleanses your blood and organs to help you glow from the inside out, Oolong lifts your energy levels while enhancing your mood and Strawberry aids digestion and helps burn stored fat. Increases Metabolism: 4/5. Eliminate Toxins: 4/5. Boosts Energy: 4/5 (As taken from the leaflet). Ingredients: Rosebud, Rosehip, Strawberry, Oolong. Tea Appearance: Small pieces of green Oolong with large rose pieces and notable sized strawberry pieces. Tea Scent: Very sweet with a strong rose and strawberry scent. Steeping Parameters: No information has really been given on the packaging so I used boiling water for 4 minutes. Once Steeped: This tea tastes as it smells, it’s sweet and floral with a buttery Oolong undertone and a lingering strawberry after taste. The rose is beautiful in this blend, it carries the sweetness but matches the Oolong wonderfully. Considering this is a blend with very little ingredients it’s actually incredibly tasty. Perhaps one of my favourite UK blends in along time. There is something so beautiful about drinking rose petals, especially in the morning. Overall it’s a very nice blend and it made me feel beautiful and positive in the morning. The result stayed the same throughout the week. I can’t say if my energy has been boosted or not but I have done more sorting out and de-cluttering in my house than usual. Have this brew after your lunch to speed up metabolism and diminish fatigue. Raspberry helps you maintain a beautiful complexion, while Nettle clears acne and eczema and even encourages thicker, shinier hair. Honey Red Tea promotes fat-burn and promotes a state of relaxed alertness. Curbs Cravings: 4/5. Burns Fat: 5/5. Improves Circulation: 4/5. (As taken from the leaflet). Ingredients: Nettle, Raspberry, Honey Red Tea. Tea Appearance: Very herbal looking appearance with contrast red raspberry pieces. Tea Scent: It’s tart at first but reveals pure raspberry over a dry, herbal scent. Steeping Parameters: I used boiling water for 4 minutes. Once Steeped: This is similar to it’s scent, there are sour/tart notes at the front but they mellow into a raspberry fruit flavour in the front of dry, malty tea base. Despite the nettle heavy base it tasted rather fresh. I like this blend as a whole, while raspberry is not a favourite of mine this blend adopts the best features of it and puts them into this tea. Mixed with a nice red tea base for depth and flavour it made this tea very tasty. Overall this was for curbing the cravings which actually it did a decent job of. I didn’t stop having the odd snack but I have eaten less in this last week, and while it could be because of the weather change or change in mood it’s still worth mentioning. This brew aids digestion and gently settles your stomach. Rooibos has been used to treat allergies like eczema, hay fever and allergy-related bronchitis; while Liquorice and Hawthorn are valuable weight loss allies. Aids Digestion: 5/5. Clears Skin: 3/5. Reduces Stress 5/5. (As taken from the leaflet). Ingredients: Liquorice, Lemon Balm, Rooibos, Hawthorn. Tea Appearance: Very herbal appearance with hawthorn berries sprinkled in. Tea Scent: Incredibly strongly liquorice with a dry and herby after scent. Steeping Parameters: Purely herbal so I’m using boiling water for 7 minutes. Once Steeped: This matches the raw scent, it’s strongly liquorice and herbal with some sweetness and dryness. On the whole it’s refreshing but I’m just not a liquorice fan at all. Despite that I can still drink it and keep it down, perhaps because it’s not as dry as I expected. It’s a bit stronger as it cools so I had to learn to drink this one red hot, still it was easy enough to finish. I did want to taste the lemon balm but it’s just too overpowered in this blend. Overall I was glad it was a caffeine free blend but it didn’t particularly help me to sleep any better than usual (which is difficult anyway). With noisy neighbours at all hours and a husband with sleep apnea (which makes me snore like a demon) it’s difficult to sleep at all. In terms of aiding digestion and reducing stress it perhaps worked, but it’s difficult to tell. Overall: So two of the three blends I would recommend but considering it’s down to what answers you give on the personal questionnaire it doesn’t really matter about the taste. Well for the most part anyway, the taste does make me want to drink them and help me remember to brew them. This however, is a detox and I for one believe that tea is a nice way to detox. I recommend this plan for anyone that drinks alcohol, sugary pop or coffee on a regular basis. 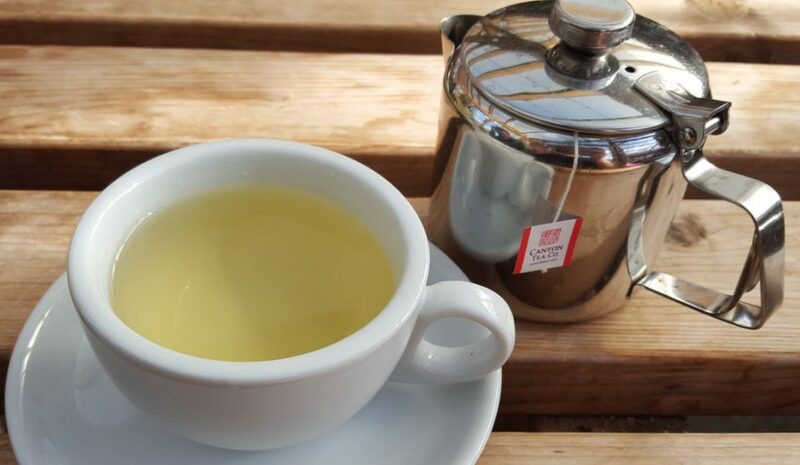 As for me I rarely drink anything other than tea or water so it’s impact was not as apparent on me as it would be on a person in need of a detox. Still I am thankful to have been able to try them and review. From a tea fan perspective I am highly impressed by the blends and that alone is a good feat. It also claims that each packet contains two weeks worth of loose leaf tea which I began to question in the early days but now I fully agree. There may even be just over two weeks worth for the current price of £29.99 including postage. So at £29.99 for at least two weeks worth of tea, with three cups per day across fourteen days it equals to £2.14 per day or 71p per cup. If you are interested in trying a Teatox programme from Teagime then give their website a visit for more information. Click here.